to become the leading scientific school and the core of innovative development in laser, plasma and radiation technologies, with unique educational programs, essential both for the Russian and world markets of educational services. LaPlas Institute of MEPhI is waiting for you! LaPlas Institute represents a team of leading scientists, researchers, and engineers willing to help you in acquiring world-class education, tackling with the most difficult problems that sometimes seem to be unsolvable, working in team and becoming a leader. Studying in LaPlas Institute not only gives you an academic training of a scientist or an engineer but makes you someone choosing a new development direction for the civilization. You’ll discover the very essence of the Universe – and he or she who owns the information, owns the world. We were lucky to have knowledgeable and competent teachers that treated us with dignity and respect. Also, apart from other faculties where lectures were given to a course of several hundreds of students, we studied in groups of 20-25 people for there were not many students at our faculty. Such individual approach to our study contributed greatly to the better programme understanding. Singing in the Male Choir of MEPHI in my spare time enlarged my horizons and gave me an opportunity to relax from study. I have never once regretted choosing university, department or scientific group. MEPhI offers both fundamental physics education allowing you to work on actual scientific problems and basic engineering skills that are useful in professional activity. Let alone MEPhI has a lot of traditions, such as sport sections, choir, summer vacation in the “Volga” camp and many others making study in MEPhI one of the most exciting events in each student’s life. I’m 28 years old. By now, I work for the science and technology organization “IRE-Polus” that is a part of the international group of companies IPG Photonics, as the Head of the Branch of Complex Medicine System Development. I have achieved it by graduating from MEPHI. I consider myself an absolute MEPhI student for it gave me an opportunity to achieve all the possible stages of education, including the first higher education at the Laser Physics Department (2013) that is now a part of LaPlas Institute, the second one at the Institute of Economics and Analytics (2016), and completing the PhD degree in the field of laser physics in 2016. In MEPhI, I studied at the Theoretical Physics Department (currently a part of LaPlas Institute). I have never once regretted choosing it since the Department offered me unforgettable atmosphere, excellent teachers and an opportunity to develop one’s mind for everyone willing to do so. In particular, I was greatly fascinated by being able to be in direct contact with world science and participate in international conferences and schools for theoretical school that are held regularly at the Department. The higher education in theoretical physics that I got in MEPhI gave me an entrance ticket to world’s leading scientific centers. Currently I perform scientific activity in the Russian Quantum Center in Skolkovo, as well as present reports in international conferences several times a year and participate in those conferences’ organizing. I’m sure opportunities for such professional achievements were given me by MEPhI. Graduation from MEPhI, and the Plasma Physics Department in particular, gives a powerful impetus for quick career development from the very beginning. MEPhI teaches you to think properly, analyze things, and systematically find ways to solve a problem, whatever its causes, without putting you under rigid constraints of formally acquired profession. The most important thing, however, is that there you learn not only to combine previous decisions to obtain relatively new results, but to create something brand new. The fact that it is not so easy to encounter such skills in our modern world makes them particularly valuable. 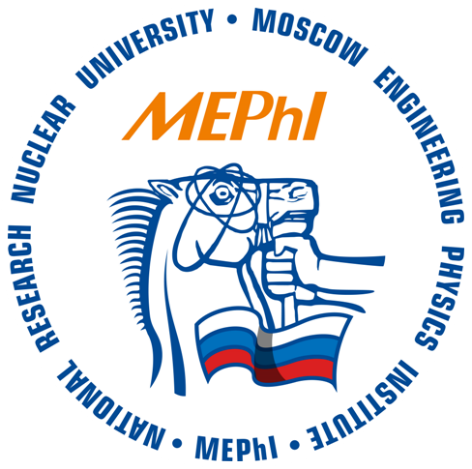 Based on previous and current experience, I would like to emphasize that MEPhI is one of few Russian higher education institutions training completely prepared graduates that are ready to get to work as soon as they are employed, rather than acquire needed skills during professional activity..